In 2009, Dolly released the album “Sha-Kon-O-Hey! Land of Blue Smoke” on her Dolly Records label. The album is exclusively available at Dollywood or through the Great Smoky Mountains Association. For the first year after the release of “Sha-Kon-O-Hey! Land of Blue Smoke,” all profits from the album were donated to the organization Friends of the Smokies. 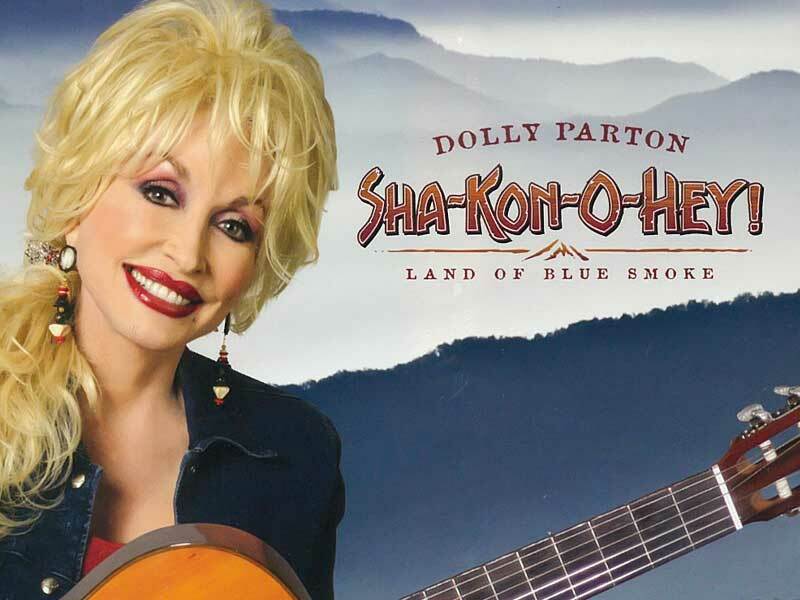 The song “Sha-Kon-O-Hey” is performed at Dolly’s Dixie Stampede Dinner Attraction and the eight songs on the album were written originally by Dolly for a stage show of the same name at Dollywood. The musical was written to celebrate the 75th anniversary of the Great Smoky Mountain National Park. The phonetically spelled Sha-Kon-O-Hey is a representation of a Cherokee term meaning Land of Blue Smoke and refers to the name given to The Great Smoky Mountains.